K&N powersports oil filters contain a modern synthetic filter media, designed for ultimate flow with less pressure drop, yet engineered for outstanding filtration. 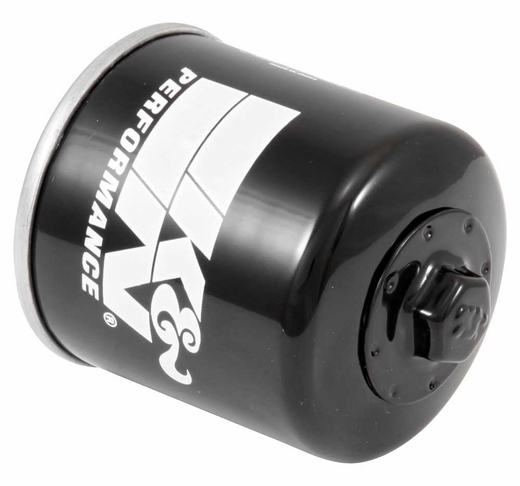 K&N powersports 'spin-on' oil filters feature a heavy-duty metal can. Most of these have a 17 mm nut affixed onto the end that allows for easy installation and removal. The 17 mm nut is crossed-drilled so racers can safety wire the filter to their bike.